James Decker has been involved in many diverse aspects of the horn. His career has spanned symphony orchestras from Washington DC to Los Angeles, conductors from classical icons to popular figures, studio work from contracts through a strike to free-lancing, and teaching at universities to creating the IVASI video system. Jim was born in 1921 in Venice CA. His mother was a singer who performed on radio broadcasts. When Jim was nine years old, an infection in his right ear led to a mastoid operation that resulted in deafness in that ear. Another operation in the 1950s partially restored that hearing. Jim started playing the cornet in school, switching to horn at age 16 at the request of the school orchestra director. Soon he was playing in Leopold Stokowski's National Youth Administration Orchestra, the Long Beach Community Orchestra, and Peter Meremblum's Youth Orchestra and taking lessons from James Stagliano. His first truly professional positions – at the National Symphony Orchestra in Washington DC (1942-43), the Los Angeles Philharmonic (1943-44), Fox Studios, and Kansas City (1946-47) – were offered without audition. Returning to Los Angeles after Kansas City, he "auditioned" for principal horn at Columbia Studios by recording a sound track. His former teacher, Stagliano, didn't want to play a concert and asked Jim to play principal horn; this was his introduction to Otto Klemperer and Igor Stravinsky, conducting Tchaikovsky's Fifth and Firebird Suite, respectively. As a contracted studio player (in the Hollywood studios at Columbia, Fox, Paramount, and CBS television), Jim had days (and sometimes weeks) without work, so he and friends started a rehearsal orchestra that used the many musicians under contract in the studios as well as free-lance musicians hoping to play in the studios. He asked Hollywood composers/conductors – Frantz Waxman, Lalo Schifrin, Miklos Rosza, Johnny Green, Bernard Hermann, Carman Dragon, Nelson Riddle – to conduct. When the manager of the faltering Glendale Symphony, a local community orchestra, proposed that they would sponsor a series of concerts if we could do our rehearsals there. It was agreed. He held new auditions and began an all union orchestra that became the new Glendale Symphony. Jim was the vice president of the newly formed LA Horn Club; Alfred Brain (uncle of Denis Brain) was President; Wendell Hoss, Secretary; and Arthur Frantz, Treasurer. Jim was co-host of the IHS workshop held at the University of Southern California in 1979 and a clinician at the IHS workshop in Claremont CA in 1983, He was elected an Honorary Member in 2003 and has attended most of the workshops in the United States and the international workshops in Munich, Germany and in Banff, Canada. Because of the actions of the AFM president, many of the prominent studio players, including Jim, went on strike against the studios. This led to studio work going overseas Many of the most successful musicians, including Jim, formed a musicians Guild. After the strike was over, the Guild won all the contracts with the studios. Jim had steady work at Paramount, but then was hired (with Vince DeRosa, Jack Cave, Sinclair Lott, and Rich Perissi) to make recordings of Wagner, Beethoven, Mahler, Mozart, and others with Erich Leinsdorf and Bruno Walter – "the highlight of my career," according to Jim, was playing principal under Stravinsky in many of the composer's most famous works. According to Robert Craft, Stravinsky’s assistant, Jim was one of three orchestra musicians most favored and requested by Stravinsky. Commercial work with Ella Fitzgerald, Frank Sinatra, Nelson Riddle, Henry Mancini, David Rose, Percy Faith and many others led to a very busy schedule. Jim also was principal horn of the Los Angeles Chamber Orchestra under Sir Neville Marriner, played chamber music with Jascha Heifetz and Gregor Piatigorsky, and recorded countless movie and television soundtracks. In those days, studio players could play three sessions in a day; "Now you can hardly do two dates with all the traffic." 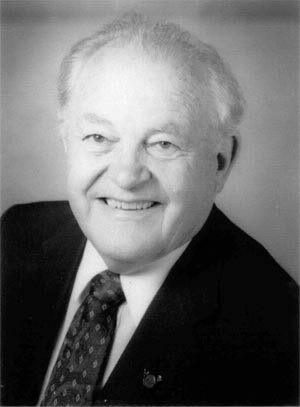 Jim was Professor of Horn at the University of Southern California (USC) for 40 years. He also taught horn at the University of California Long Beach and was the horn instructor at the Music Academy of the West for eighteen years. He was the horn teacher and chamber music instructor at the Bowdoin Summer Music Festival for five years and was a member of NARAS, the board for the National Association of the Recording Arts and Sciences that awards the GRAMMYS. He served as judge for the National Foundation for the Advancement in the Arts in Miami, Florida (the organization that selects the annual awards of the Presidential Scholars) from 1990-1995. For many years Jim and his family owned a landmark castle in the Hollywood hills where they entertained musicians from the world over. During the cold war, when the Moscow Symphony from Russia toured the United States, the LA Horn Club invited the brass section to a reception at the castle. It was the only home in the United States they were allowed to visit. Needless to say, the many Russian musicians living in Hollywood seized on the opportunity to meet with the visitors. It started out as a very formal affair but gradually, after many vodka toasts were exchanged, it turned it into a gala polka dancing event. The Russians couldn’t believe this castle was owned by a musician but were convinced after his wife took them upstairs to the sleeping kids' bedrooms. Later Jim met many of these same musicians in Moscow, including Timothy Dokshitsor and Valeriy Polekh. Jim kept in touch with the Polekh family for many years and authorized an English translation of his life story, "Your Valeriy Polekh," for The Horn Call. Jim's devotion to teaching is evidenced by his book The Master Series for Horn, which includes demonstrations of many exercises, conducted excerpts of famous audition requests, and a master class group series of drills. Along with his son Douglas, he developed the IVASI system (Interactive Video Audition Systems International), which consists of conducted DVDs. The DVDs use a conductor leading an orchestra in standard repertoire to help students learn in a realistic situation of preparing for auditions. This interview with James Decker was given in the mid 1990s with a public radio station in Maine.